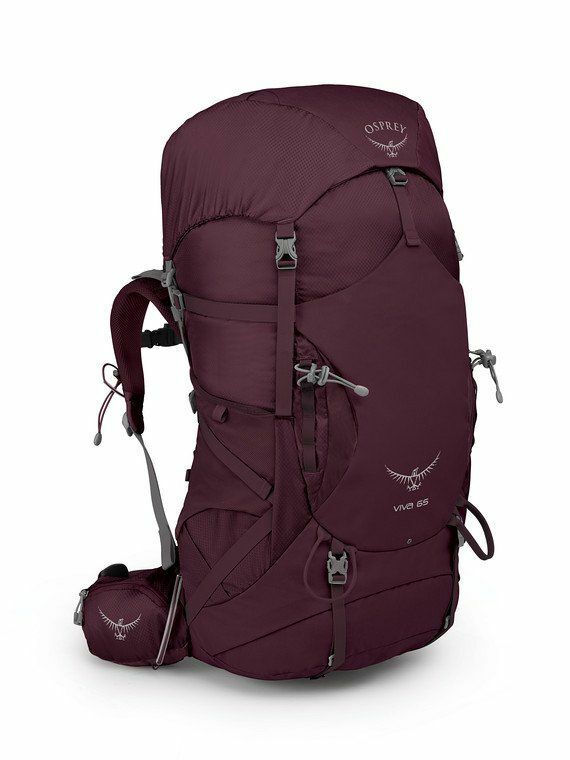 "Time-honored aesthetics combine with superior performance to create the Viva 65, a women’s-specific backpack that’s capable of carrying heavier loads in the backcountry. Highly accommodating to most every shape and size, the torso on this pack can be adjusted up to 5 inches and an extendable Fit-on-the-Fly hipbelt can be adjusted up to three inches. A well-ventilated AirScape backpanel carries close to the body and the LightWire frame relocates loads to the hipbelt, affording exceptional stability over smooth or rough terrain. Additional features include a removable raincover, zippered sleeping bag compartment, Stow-on-the-Go trekking pole attachment for easy storage, removable sleeping pad straps for exterior gear storage, and easy-access zippered hipbelt pockets. Whether you’re a backpacking ace or a greenhorn, the Viva 65 is a dependable trail companion. Adjustable torso length: 14""/36 cm - 19""/48 cm. Backed by our All Mighty Guarantee. 3967 in3 / 65 l | 30.3h x 14.6w x 13.4d in. | 4.21 lbs."